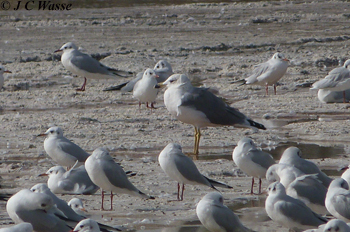 An excellent 10 days or so birding at the end of March / beginning of April 2019. Decent weather throughout comfortable for birding and productive for migration with about 120 species seen. 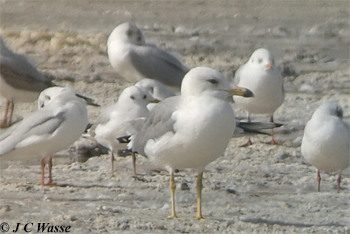 A full day by day trip report to be posted soon plus a birding video compilation, but please find the following summary showing some key sightings per area. 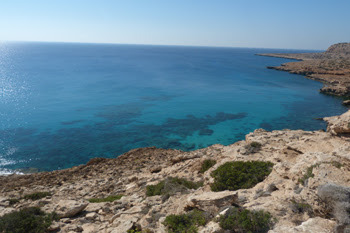 Cape Drepanum, the short headland below Agios Georgios lies 20 km or so north of Paphos, the next stop the Akamas peninsula. 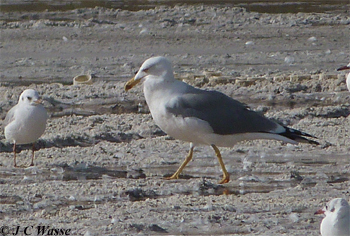 It offers scrub and short grassy/sandy ground bordered by a rocky shore. On the interior it backs in part into a craggy cliff. 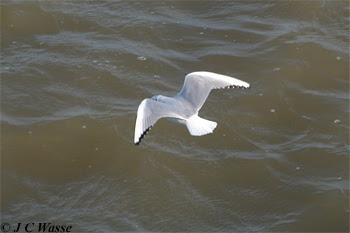 The location and habitat good for witnessing both overhead and on the deck migration, but the site is popular and mornings are best when the wildlife is less disturbed. A good selection of Warblers throughout the period with Ruppell's and Eastern Orphean seen on most visits with lots of Lesser Whitethroats and Sardinian as well. A Short-eared Owl rested here one morning whilst Wryneck, Cretzschmar's and Ortolan Buntings noted on separate visits. 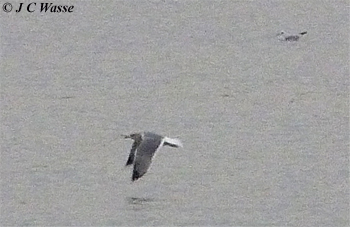 Herons migrated overhead on a couple of dates including a mixed flock of ~40 Purple, 4 Grey and 3 Night Herons. 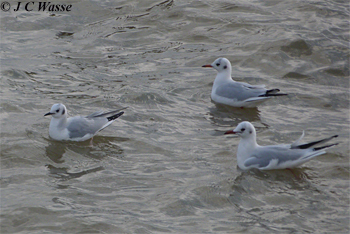 Strong hirundine movements namely one date had a morning passage of Red-rumped Swallows (150) with Barn Swallows (200) on the move another evening. That same evening saw an impressive movement of "Yellow" Wagtails a minimum of 650 of which 450 flew north before sunset. Most very wary and from brief looks comprised 'flava', 'feldegg' and intergrade types. 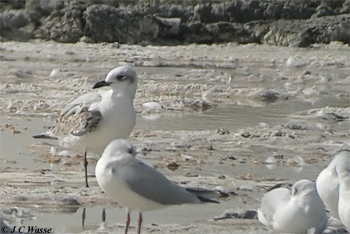 The Baths of Aphrodite has always been hit or miss for me for bird migration, on this trip it wasn't too bad. Masked Shrikes, Ruppell's Warblers, Eastern Bonelli's and Wood Warblers, with Alpine Swifts noted and a couple of Pallid Swifts over the coast. 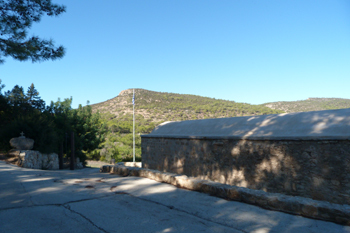 Sadly, nearby, the track between Agios Minas to Smiyies Picnic Site near Neo Chorio was quiet for both resident and migrant birds. 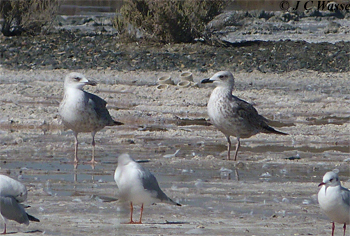 Both the outer and inner parts of the headland at Paphos were productive throughout. One visit to the inner (Archaeological site) produced a nice movement of passerines north along the western edge with Eastern Orphean, Ruppell's, Savi's, Sedge and a Great Reed Warbler noted, the latter dwarfed a Whinchat sat next to it. A fairly long staying male 'Caspian' Stonechat looked bright, frequently tail-flicked to show its characteristic white outer tail feathers. 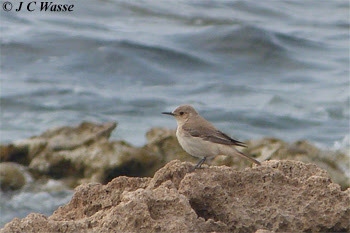 Wheatears included several smart Black-eared, Northern and Isabelline varieties throughout with a long staying rarity/scarcity in the form of a female Hooded Wheatear covering the shoreline along the western side of the outer headland. 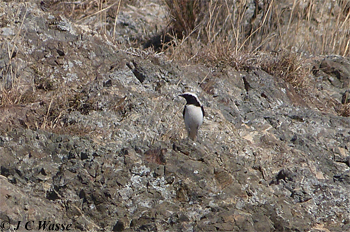 Masked and Woodchat Shrikes noted and Hoopoes commonplace. At the point a summer-plumaged Greater Sandplover roosted one evening with 2 even smarter male Kentish Plovers and a Dunlin alongside. Kingfisher was regular by the rock pools. 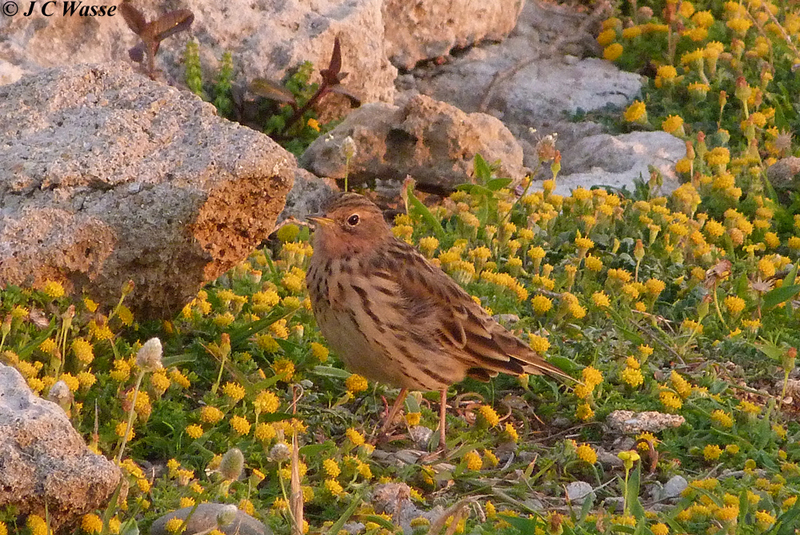 Red-throated Pipits in varying degrees of summer attire were reliable as were seeing the swarm of "Yellow" Wagtails of varying types. Local Kestrels hovered over the grassland throughout and male Pallid Harriers were very showy on several dates. 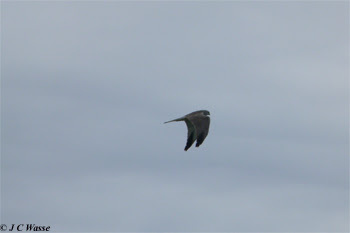 A Black Kite flew in off one morning as did a Short-eared Owl on another date. Herons noted circling the point on occasion included groups of Purple Herons and a handful of Night Herons. 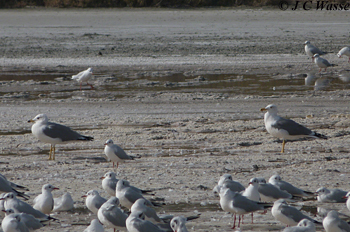 Timi Beach offered a temporary wetland, the flooded picnic area, that was an oasis to passage waders and herons. Little Egrets and Glossy Ibises were regular, a Squacco proved more elusive, and waders included dwindling sightings of Marsh Sandpipers and Spotted Redshanks. Ruff sightings were consistent throughout and Wood, Green and Common Sandpipers noted along with a couple of Black-winged Stilts and Little Ringed Plovers. 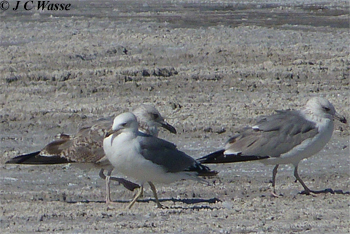 One blustery day produced a flock of 9 blogging Gull-billed Terns offshore with 4 Slender-billed Gulls east. 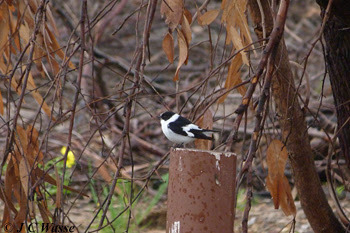 A male Collared Flycatcher was worth trudging through the muddy picnic site on the same date. 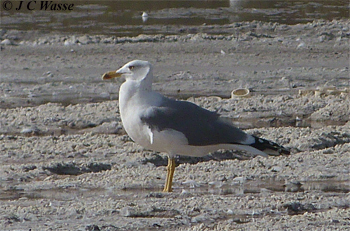 'The Bowl' by the beach at Mandria produced Wheatears, Larks and Pipits and Marsh Harrier sightings, and in general offered the same passerines feeding on the short grassy/sandy terrain as found at nearby Timi Beach and Paphos Headland. Laughing Dove by the greenhouses at the turn off down towards Lark Corner. 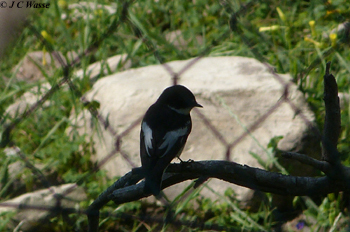 Asprokremmos Dam held Eastern Bonelli's Warblers (2 dates), and Wood Warbler with Semi-collared Flycatchers in trees nearby on one date. 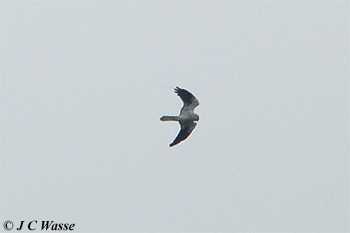 A male Pallid Harrier flew north one afternoon and on another a pair of Bonelli's Eagles patrolled the uplands. 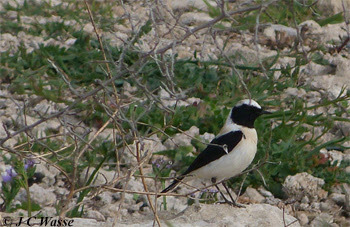 Anarita Park, the rough grazing area rising into the hills north of Paphos Plain, gave a nice variety of birds. Great Spotted Cuckoos, many Hoopoes, Cretzschmar's and Ortolan Buntings, many Black-eared Wheatears to mention but a few species. 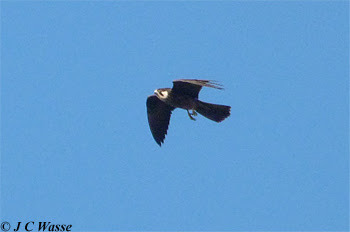 Passage raptors included Pallid, Montagu's and Marsh Harriers and a lone adult Peregrine. 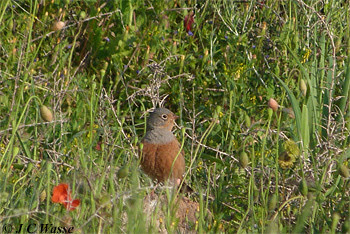 Quail called on a couple of occasions from fields at the southern edge of the 'Park'. 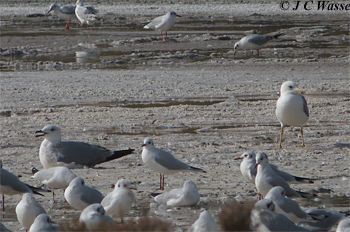 The focus was Akrotiri Marsh which provided a decent diversity of sightings. 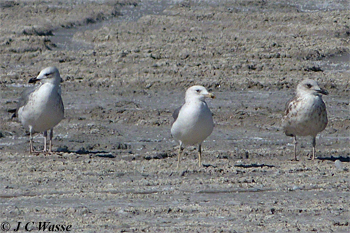 Selected highlights included water birds - Cattle Egrets, Squacco Heron, Glossy Ibis, Ruff, and Marsh Sandpiper. 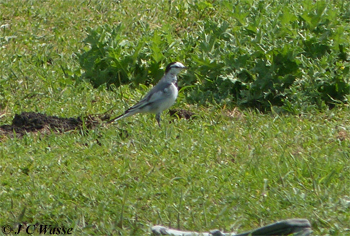 An 'ocularis' White Wagtail was perhaps a returning bird and was interesting to see. 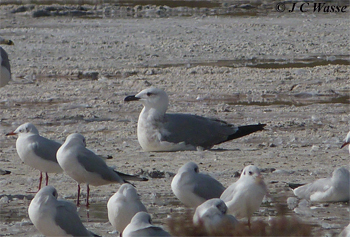 Zakaki Pools were overgrown but the nearby shingle beach gave sightings of half a dozen or so Armenian Gulls. 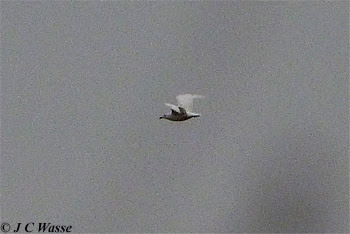 Too early for Eleonora's Falcons but a Griffon Vulture circled near Kensington Cliffs. 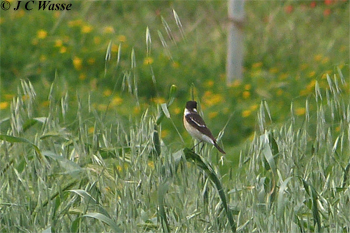 Larnaca area - twitched Kiti Dam seeing my first Semi-collared Flycatchers, giving a nice comparison with a male Pied Flycatcher also on site. A quick look at Oroklini Marsh before flying back to the UK produced Little Crake, Cattle Egrets and several ducks including Garganey. 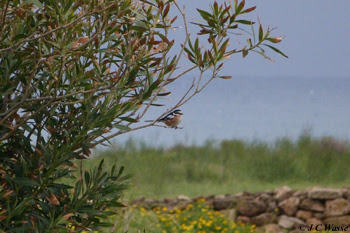 Cape Greco - the rocky headland at the SE corner of the island gave trip ticks on the final day - Spectacled Warblers and Rock Thrush (f), a swing around and you could see a Blue Rock Thrush (f) for comparison. 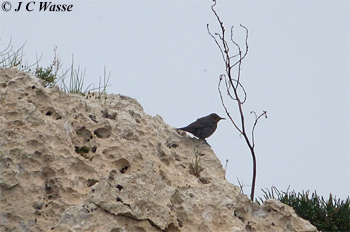 Alpine Swifts flew in off and the typical Wheatears, Larks and Pipits could be seen on the hillside near the Sea Caves, the same could be said for other 'Sylvia' Warblers not mentioned. 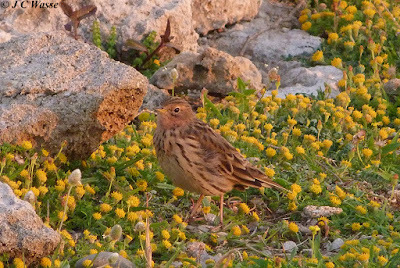 Ayia Napa, may not be immediately noted for its sewage works lying directly inland of the Cape, but this place was home to passage Eastern Bonelli's, Wood and Willow Warblers alongside Chiffchaffs and Blackcaps and a male Redstart. A Bee-eater species flew in off and quickly over the hill before its identity could be confirmed. 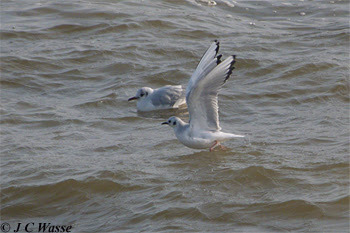 Winter birding at Rainham Marshes RSPB is focussed on the replenished pools and any movement along the Thames. 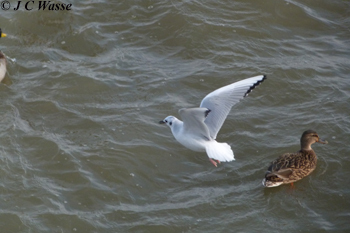 The gathering of whistling Wigeon and elegant Pintail joining many noisy Teal are some of many duck species that visit the site found just inland of the Dartford crossing to the east of London. 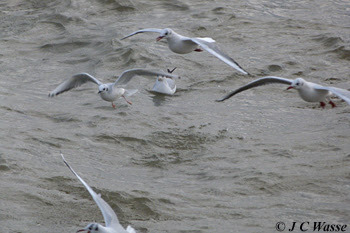 It's easy to take the winter spectacle for granted at this well watched RSPB reserve. 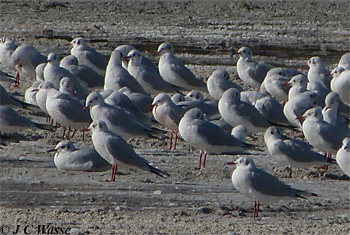 The rising tide force waders either onto the marsh or up river to known roosts on a daily basis with such protagonists include Dunlin, Black-tailed Godwit, Curlew and Redshank. 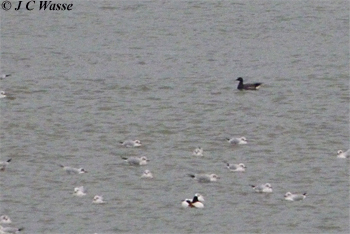 Avocets being the exception as a small group of 20 or 30 have different ideas and it is comical to see them swimming out the tide in the relative shelter of Aveley Bay instead of jumping over the river wall onto Purfleet Scrape or one of the other pools. Lapwing numbers are building up and the occasional Ruff and Golden Plover are found amongst them. A group of '17 'Goldies' present before Christmas was noteworthy, hope they linger and increase. This may paint an idyllic scene but the peace is usually shattered by raptors in particular Sparrowhawks and Peregrines patrolling the marsh. An immature Peregrine has caused panic within the inhabitants of Aveley Pools, when it is not busy tormenting one of the several Marsh Harriers to be found on site. A couple of Buzzards tend to mind their own business as do Kestrels. Speaking of which an absence of a cold snap to date means they are not competing with this season's wintering Short-eared Owls for rodent prey along the river wall. These disagreements do look spectacular when seen previously, but could be a matter of survival for the Owl or Falcon in such cold weather. 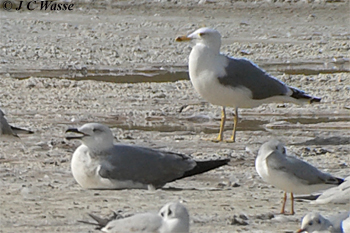 No rarities seen on or passing through the site in my end of year visits, but a Brent Goose in Aveley Bay was noted and of the gulls I've only come across 2 or 3 Yellow-legged Gulls, away from the common five, but a candidate LBB x Herring Gull hybrid was a bit of a head-scratcher. Elsewhere in London a Peregrine watched the public along the South Bank from top of the Tate Modern as the year drew to a close, and it's now not unusual to see Red Kites drifting over gardens in the NW of the capital. Back home to Yorkshire over Xmas taking the indirect route of the North Norfolk Coast. These expansive salt marshes held hunting Hen Harriers, including a 'grey ghost' as our North American birding friends like to refer to the nearctic equivalent. Red Kite is now a regular sight here alongside the more common Buzzards and Marsh Harriers. The fields and marshes joining Burnham Overy with Holkham were full of Pink-footed and Brent Geese although, but perhaps the 50 or so Barnacle Geese also present had probably never been to Spitsbergen? Finally back home and the moorlands remained magical. Buzzards are less numerous and less active in the uplands than in warmer months, but several lingered. 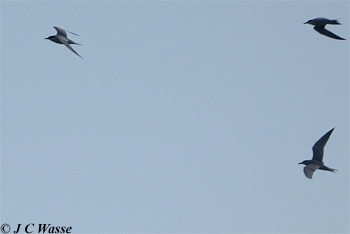 Ravens were more noticeable and a a couple of pairs reinforced bonds by 'tumbling' regularly on their sorties. 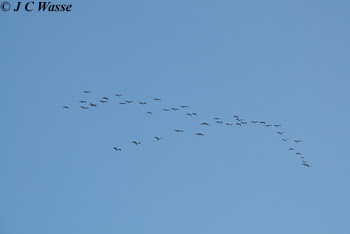 Also looking skyward skeins of Pink-footed Geese were a regular sight crossing the Pennines but in no clear pattern. Some days small groups headed west, the others either out east or north. Crossbills moved locally between moorland plantations that typically cloak hidden reservoirs, and towards the end of the stay at least two males were singing at a couple of sites. 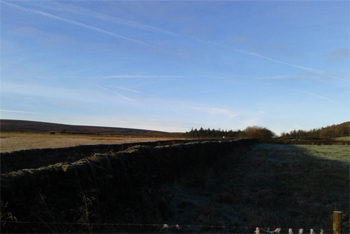 Only connected with a single Brambling flying over a moorland Beck, whereas Siskin and Redpolls were more noticeable moving around the uplands. The feeders at Broomhead Reservoir were packed with Coal T and other woodland visitors. 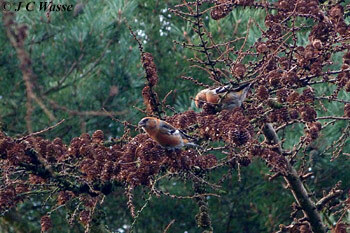 The once in a lifetime sighting of the group of Two-barred Crossbills is now over 5 years ago. 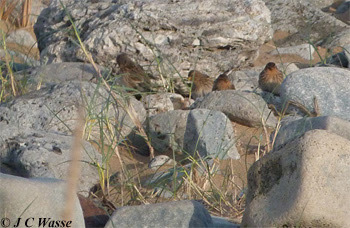 I still remember that distinctive trumpet call as well as the fast Redpoll-like chatter. I still listen out for them in ridiculous hope of them reappearing, but failing that here's a photo from Memory Lane... adjacent to Rushy Lane! Don't worry - from 2013! 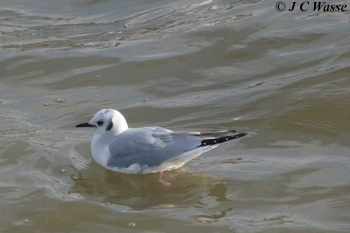 A couple of visits to South Gare just beyond Redcar and on the 2nd attempt connected with the winter plumaged Black Guillemot as it swam and fed close inshore (Yorkshire-side). Not going to get into a debate on political boundaries but from a birding perspective to follow the old Vice Counties, namely VC62 (North-east Yorkshire) this became Yorkshire tick No. 339 (337 BOURC). 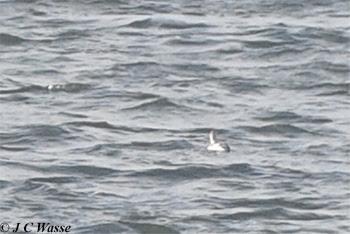 Guillemot present nearby and the Tees mouth also held both single Common and Velvet Scoters, a handful of Eider and Red-throated Divers. 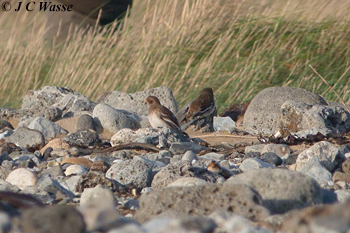 The beach in the seaward side yielded a flock of Snow Buntings (28) and a dozen or so Twites occasionally joined a similar sized group of Linnets. 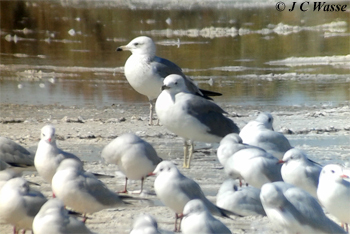 Just under 100 species seen in Cyprus in a week at the end of October / early November 2018. 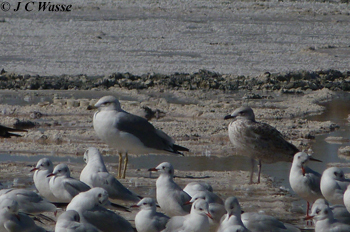 A nice variety with some wintering specialities namely Finsch's Wheatear, Moustached Warbler and Armenian Gull. Was lucky to twitch a big rarity - Red-fronted Serin near Larnaca. The weather was good throughout, dry with temperatures mid to high 20s (degrees C) but comfortable, even though the constant NE wind was a bit nagging. A good birding community on the island and thanks to all who helped me out whilst birding there and for feedback online since the trip, much appreciated. 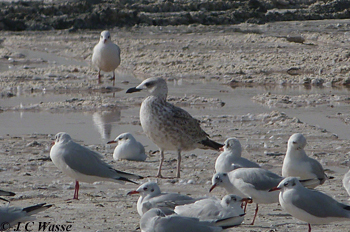 To see the trip report please visit the tab at the top of the page: Birding Trip Reports - Other and it's the first pdf available at the Cyprus section. Enjoy. 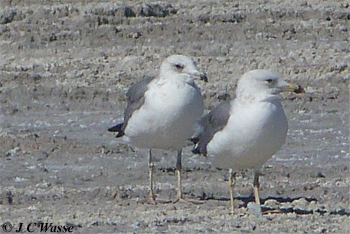 A set of photos of Gulls present at the pools at the top end of Lady's Mile, on the Akrotiri Peninsula, Cyprus at the end of October / early November 2018. 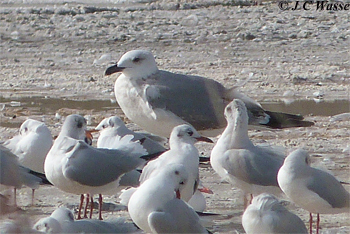 Several visits (29 and 31 Oct and 01 and 03 Nov) produced similar results, up to 2,000 Black-headed Gulls with a single Mediterranean Gull picked out of the flock on two visits (01 and 03 Nov) and at least 2 Slender-billed Gulls as well (01 Nov). 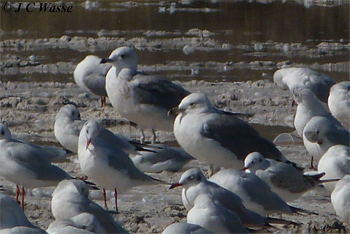 Usually up to a dozen large Gulls were present, sometimes keeping themselves to themselves and other times mingling with the Black-headed Gulls. My interest was in these large Gulls. 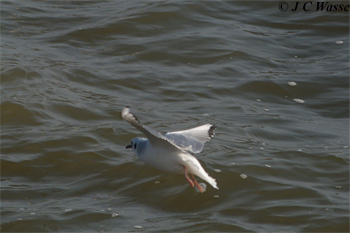 Armenian Gull was at the back of my mind given the timing of the visit, i.e. 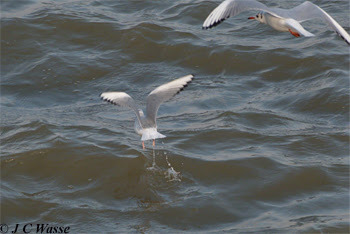 the start of the winter Gulling season. 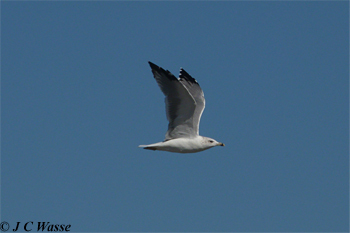 I thought I would struggle to pick out Armenian Gulls from what I presumed to be more numerous Yellow-legged Gulls. 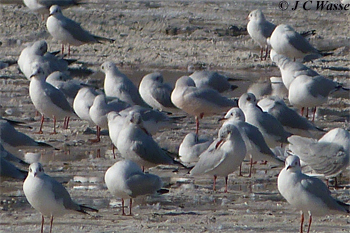 Having never seen them in the field before, how distinctive are these winter visitors to the eastern Med? 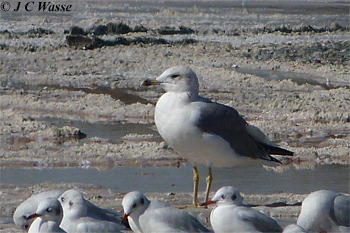 It transpired that most of these large Gulls were in fact Armenian Gulls and Yellow-legged Gulls were particularly scarce at this location on these visits. 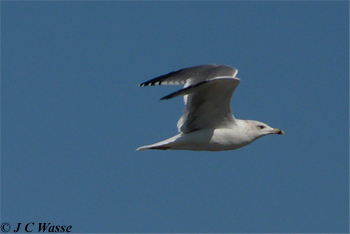 A beautiful benign looking Gull, my first sighting of this taxon. 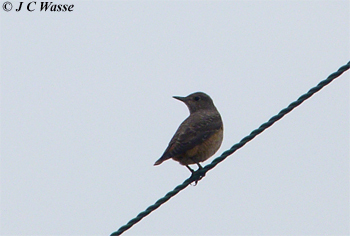 The ring-bill of the adults/subadults, rounded head and dark eye and late wing moult were clearly noticeable. 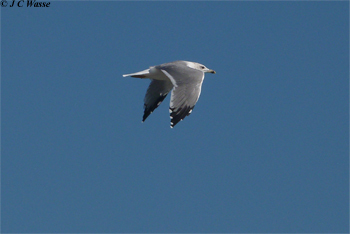 Even managed a few flight shots of one moulting adult / subadult. 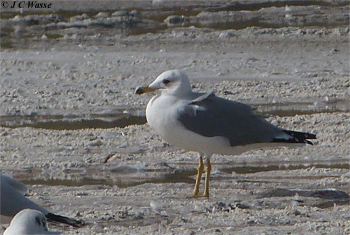 One adult photographed at this location. 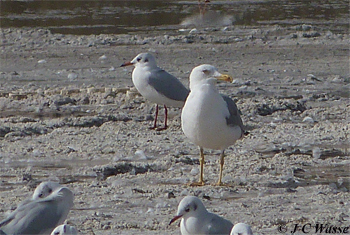 The bottom photograph alongside an Armenian Gull (left). 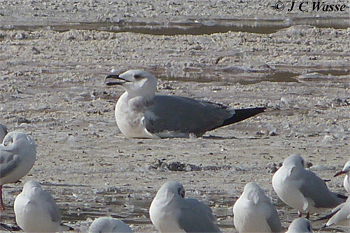 This brute had a striking black bill suggesting a young Gull, yet extensive grey upperwing on the closed wing suggested it being not so young? 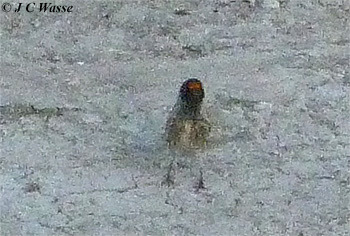 Smallish head, relatively feint and restricted neck streaking. What is it? 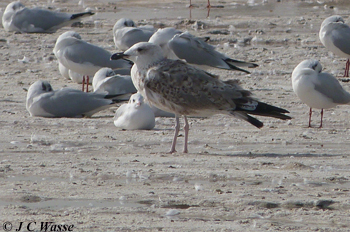 Is this a big immature Yellow-legged Gull? The bill looks too? 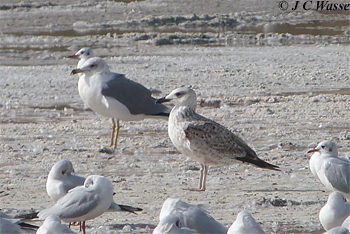 strong for Caspian Gull / influence? 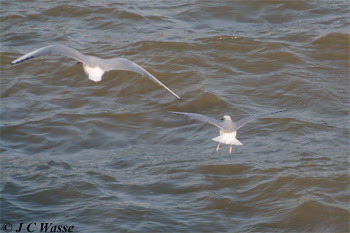 A 1st winter was picked out of the throng of Black-headed Gulls. Lucky to get a clear phone-scoped image. 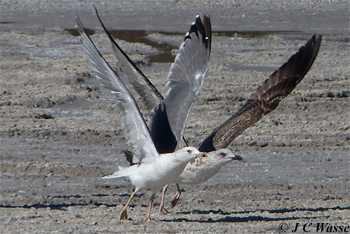 An elegant Gull, two shown here, they looked striking when they finally lifted their heads confirming their identity. 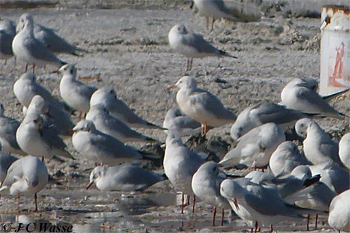 The protruding front end as well as the pink tinged to the adult's underparts was a key feature in finding them when roosting amongst the many Black-headed Gulls.